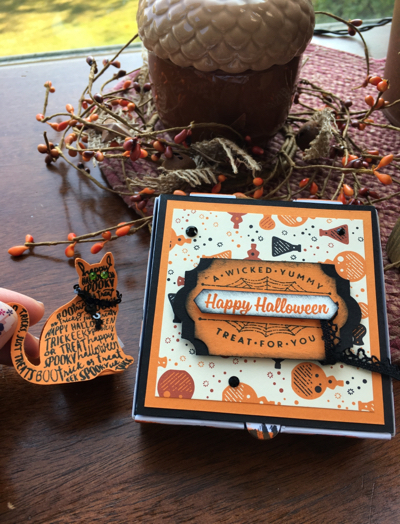 Check out these adorable little treat holders complete with chocolates 🍫 that revived from my sweet friend Lisa Lange. Aren't they just the cutest!?! I love her clever use of the cat punch to cover a Hershey Kiss. Check out all the super cool new products from our Holiday Catalog over on my Stampin' Up! online store. There are soooooooooo many adorable products, my list just keeps growing!